Based in Sydney, but supporting both Brisbane and Sydney clients, Shaun McCheane specialises in self managed super fund accounting, administration and taxation, and assisting clients with the establishment, administration and compliance of their SMSF. On a day-to-day basis, Shaun is responsible for managing a team that proactively and efficiently handles the ongoing accounting and administration requirements of his clients’ SMSFs throughout the year. 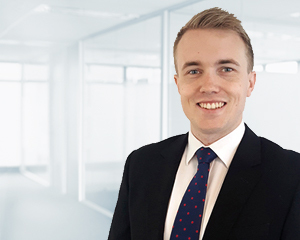 Shaun completes clients’ financial statements and tax returns, and organises the year-end independent audit, ensuring the work is of the highest standard and accurate. He remains a personal point of contact for his clients to ensure high levels of service. “Dixon Advisory clients take comfort in knowing they have direct contact with friendly, dedicated accountants and advisers who are experts in the industry. This expertise allows us to provide clients with a well-rounded service – from compliance and administration to investment and financial advice – so they can enjoy their retirement”, says Shaun. Shaun has a Masters of Professional Accounting from the University of New England and is a member of the Institute of Chartered Accountants Australia and New Zealand.